Thank you for selecting our office to serve your special needs. So that we may better serve you, we ask you to spend some time reviewing this web site. We feel that if you spend some time reviewing our policies and methods of practice, then we can better service your needs. New patients are always welcome in our office. We consider the referral of a patient the best compliment and expression of confidence that anyone can give us. Thank you for considering our office to serve your needs. We have developed a proprietary treatment that thickens and lengthens hair and reverses many types of alopecia (hair loss) such as genetic thinning (e.g., male pattern baldness), chemical and stress related hair loss and other types of hair loss. 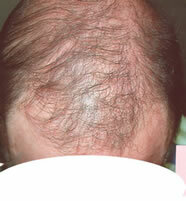 Our treatment consists primarily of a proprietary patented gel that is applied daily to the scalp. 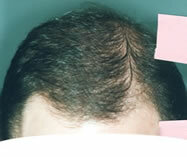 The gel stimulates hair follicles causing hair to grow thicker and faster. Additionally, after the gel is discontinued the hair that you have re-grown does not catastrophically fall out (in contrast to the only commercially available product currently approved by the FDA which must be used forever to prevent hair loss). 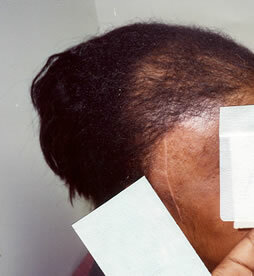 PLEASE NOTE: The extent of hair growth and scalp rejuvenation varies among individuals and is dependent upon the extent of your hair loss or thinning, if any. While most of our patients have experienced significant improvement in hair thickness and growth, we do not guarantee that our treatment will be effective. FURTHERMORE, while our gel is only available by prescription the FDA has not yet approved it for the treatment of alopecia (additional, expensive, studies are needed for full and final FDA approval). Acne, such as pimples, blackheads and whiteheads, is a skin problem that troubles individuals of all ages -- not just teenagers. 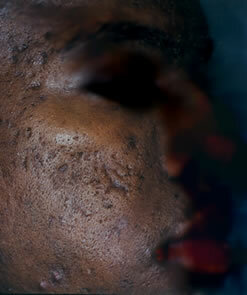 Severe cases of acne leave unsightly scarring. We have developed a new treatment, a proprietary chemical peel, which treat acne and acne scarring more effectively than any other commercially available peel without the most common side effects. Typically chemical peels can over peel and severely damage skin; however, our system shuts itself off after a few minutes so it mostly eliminates this common side effect. The treatment of keloids (unsightly growths under the skin) has eluded medicine for decades -- many different treatments have been tried from surgery, injection of various agents, laser treatment, radiation, pressure and various creams -- but no single treatment has been effective. 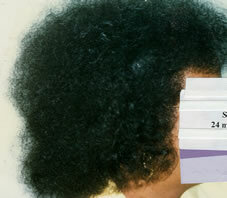 Further, in too many of these cases the treatments actually causes the keloids to grow or grow back even larger. Our treatment program consist of weekly office visits, where a proprietary liquid formula is carefully applied, combined with a proprietary cream that is applied daily by the patient. 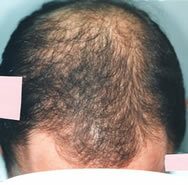 Our process can flatten typical keloids in 3 to 7 months. 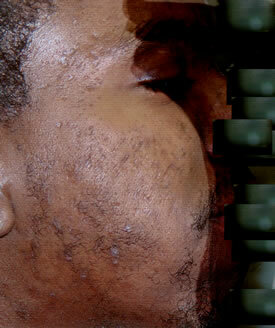 Once the keloids are flat, treatments may stop and the keloids that have been treated rarely return. This treatment is also effective with Scars, Burns and Shaving Bumps. We have developed a revolutionary facial peel that reverses dark spots, uneven skin tone and other signs of aging. This special form of natural acid is derived from sugar cane buds and other fruits. The treatment is applied weekly in our office with few, if any, side effects, additionally, a mild gel cleanser is used daily for home maintenance. The desired results can take only a few weeks or up to several months, depending on the severity of the skin problem being treated.